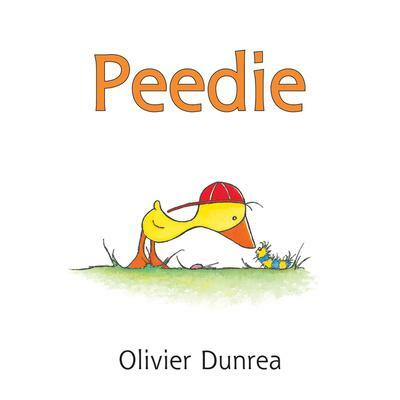 Peedie is a small yellow gosling who sometimes forgets things. But he never forgets to wear his lucky red baseball cap. He wears it everywhere. Until he puts it in a secret place. It is the cleanly designed and sometimes humorous artwork that gives these small books their irresistaible charm. Dunrea's simply charming ink-and-watercolor art reveals an endearing cast of diminutive critters. Forgetful Peedie enjoy[s] circular adventures replete with the repetitive phrases in which toddlers revel. The ink-and-watercolor illustrations are as simple as the text, and small children will recognize and relate to each story's tiny arc and resolution. Dunrea's feathered characters have the look and feel of preschoolers rapt in their own discovery of the world.